"Polish clarinetist Waclaw Zimpel has visited Chicago in groups led by locals such as Ken Vandermark and Keefe Jackson, but this time he brings his own working quartet from Europe. He’s one of the most contemplative and lyrical players in improvised music, and on last year’s Stone Fog (Fortune) his tenderness shines through most magnificently on the three pieces he composed. The other tracks are group improvisations, and on those five pieces his resourceful, nuanced band (pianist Krzysztof Dys, bassist Christian Ramond, and drummer Klaus Kugel) conjures a similarly dramatic, moody atmosphere, transplanting into a free-jazz setting some of the brooding intensity and pin-drop dynamics of the classic Miles Davis Quintet with Wayne Shorter"
Unfortunately the concerts in the USA could only be performed in duo by the Polish part of the band, Waclaw Zimpel and Krzysztof Dys. 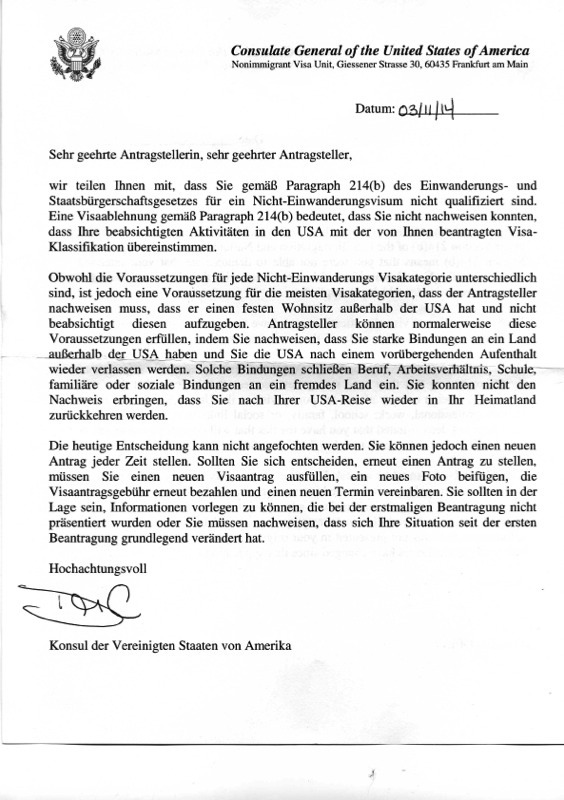 The German part, Klaus Kugel and Christian Ramond, was not able to do it as the Consul of the USA in Frankfurt refused their B1 visa application and found them ineligible for a nonimmigrant visa. - Goethe-Institut Munich / music dept. 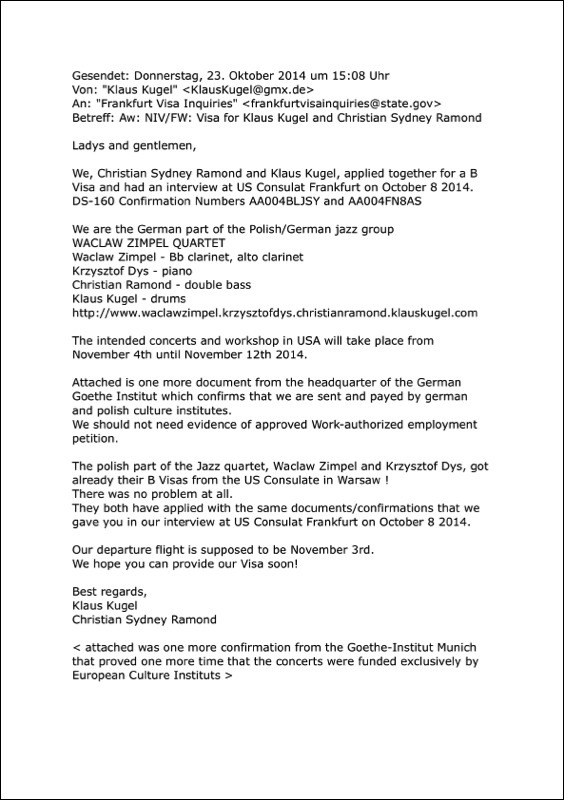 The Waclaw Zimpel Quartet was invited to play three concerts and give one workshop in USA in November 2014. 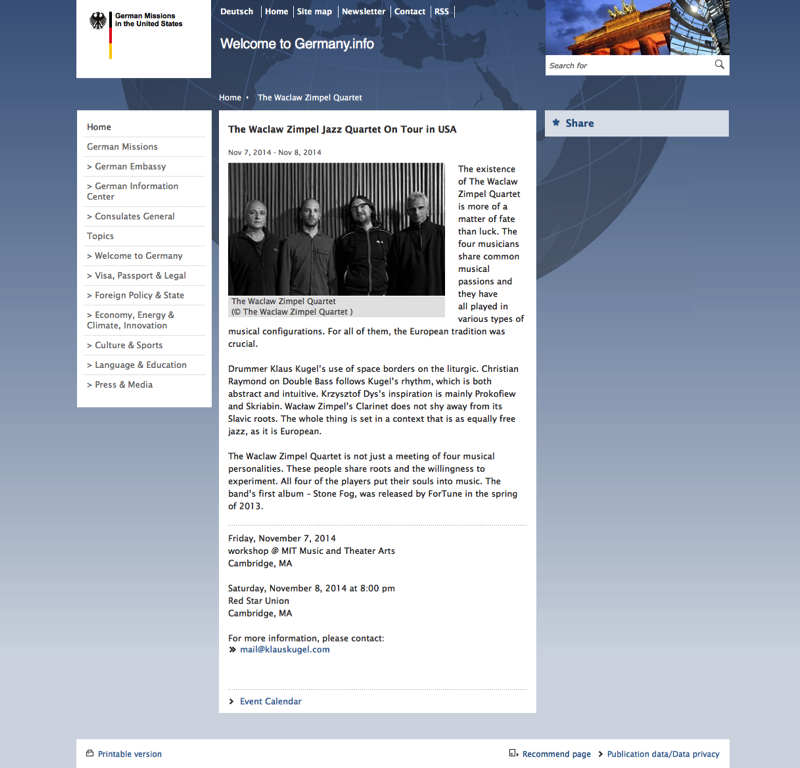 This tour was exclusively funded by Europeans: the Foreign Office of the Federal Republic of Germany, the music dept. of the headquarter of the Goethe-Institut in Munich, the Adam Mickiewicz Institute Warsaw, the Consulate General of the Republic of Poland in Chicago. 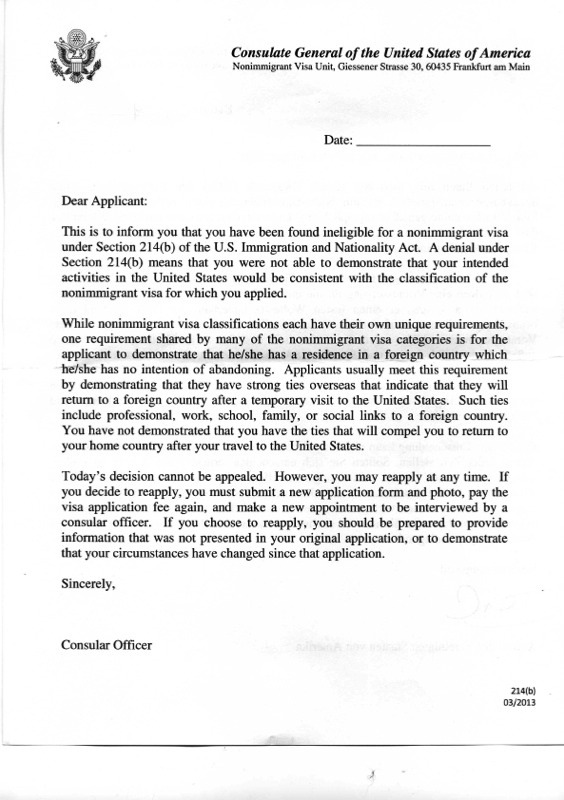 In such a case musicians from Europe need a nonimmigrant B1 visa to the USA. Once all personal informations and all confirmations from the envolved culture institutes are provided and this application is completed and confirmed, the musicians have to get online an interview date at one of the US Consulates in their country; that costs 160 USD (128 EUR) per person. 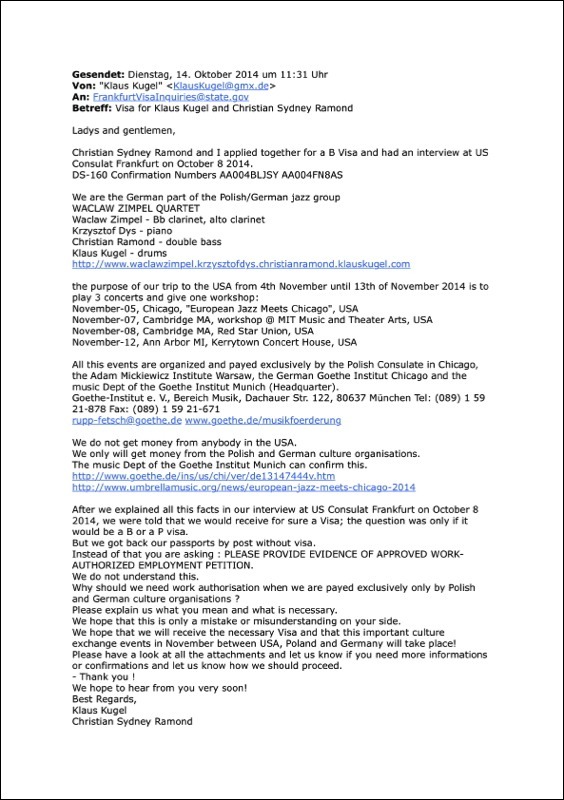 The Polish members of the quartet, Waclaw Zimpel and Krzysztof Dys, got without problems their B1 Visa at the US Consulate in Warsaw. 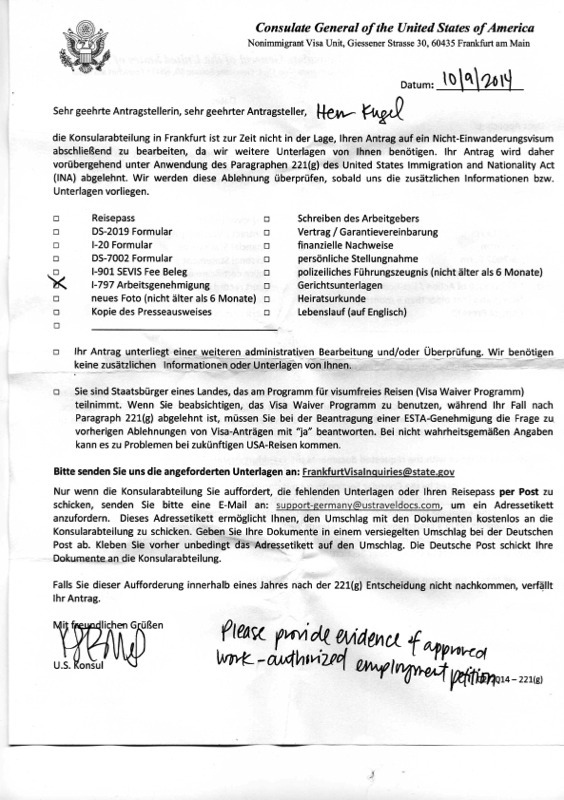 Klaus Kugel and Christian Ramond went on 8th of October 2014 to the interview at the US Consulate Frankfurt. They provided the same documents than their Polish colleagues and additionally the confirmations of the German Goethe-Institut. The officials told them that they would get for sure a visa, that they wanted to make sure that there will be no problem at the entry to the USA in Chicago. 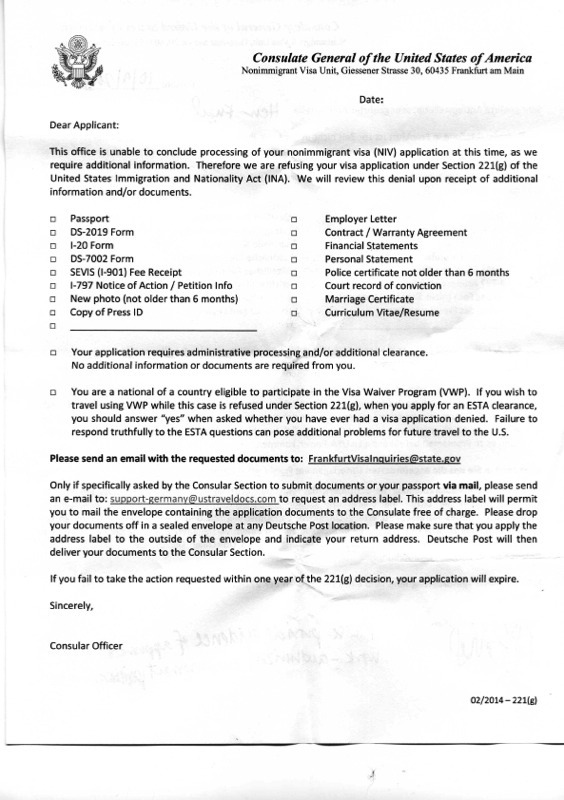 They said they were not sure about whether it should be a B or a P visa. They wanted to decide about this detail with their supervisor. Finaly they promised to send the two passports with the correct visa by post within the next days. 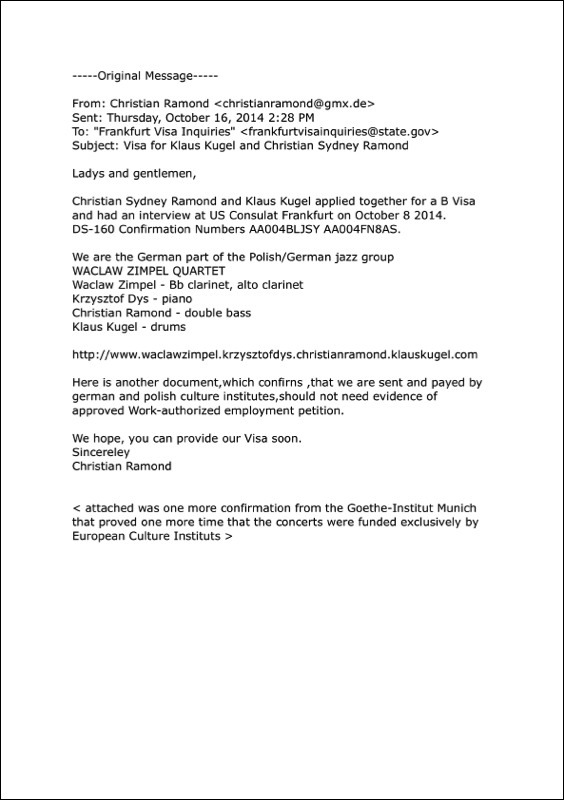 6 days later Klaus Kugel and Christian Ramond got the packages with the passports WITHOUT any visa. 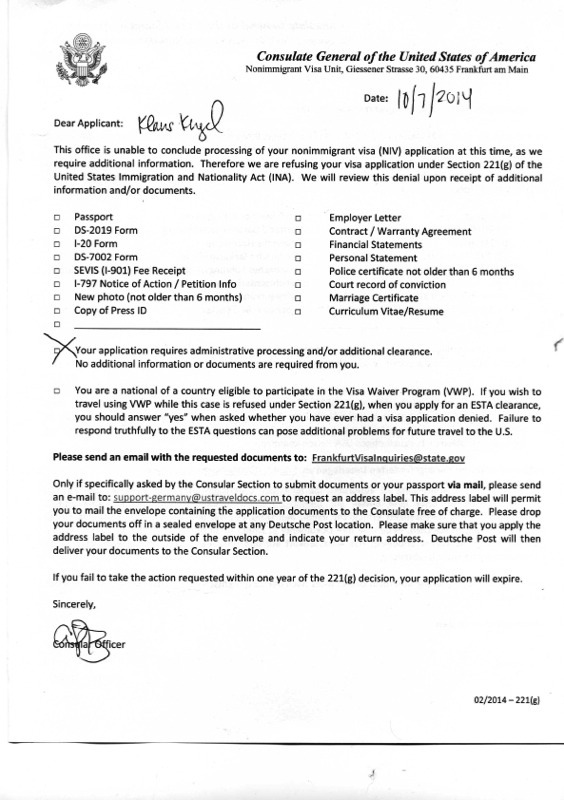 "please provide evidence of approved work-authorized employment petiton"